With an uproarious musical legacy spanning over 35 years, it is impossible to speak about the history of heavy metal without mentioning the one and only Accept; one of the genre’s most respected and consistent bands. 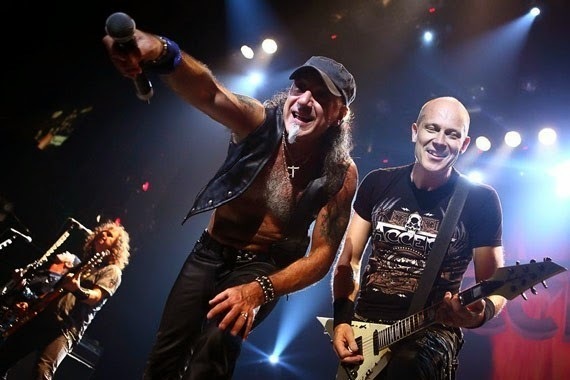 From “Restless and Wild” to “Balls to the Wall” to “Objection Overruled”, Accept‘s most successful albums were all beautifully engrossed by the same elements that make up their unique playing style. 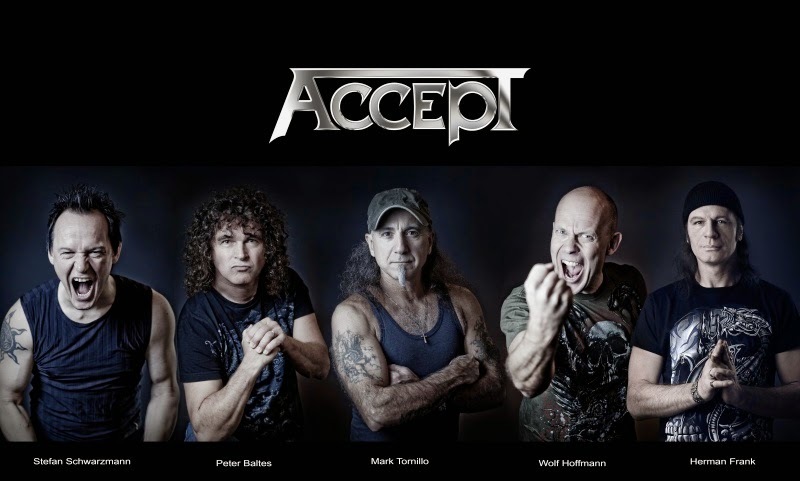 Take the time to think of your favorite Accept tracks and analyse the similarities that arise from each of them. What makes Accept so praised by fans is their natural ability to delve into the “anthemic” world of heavy metal, so much so that their lyrics can’t help but to be chanted with immense pride and certainty. Although that very pride comes naturally with being a metalhead, Accept sure do know how to amplify our sentiments toward the one music that unites us all. And with the recent release of “Blind Rage”, the third album featuring the mighty Mark Tornillo on vocals, the band shows no signs of wearing down any time soon. From the thundering roar of the guitars to the compelling choruses, “Blind Rage” is an absolute delight for all heavy metal fanatics, as it successfully stays true to the classic Accept sound, all while making way for new and improved riff-laden melodies that have become a distinguishing aspect of their repertoire. “Trail of Tears” follows this exact formula by blending intricate guitar riffs with harmonious leads in order to complement the fierceness of Tornillo’s voice. It goes without question that Tornillo is the best thing to happen to Accept in a long time, as his incredible vocal range, as well as his all-out raspy singing style, allows the rest of the band members to have a lot more room to breathe in terms of songwriting and experimentation. After listening to “Blind Rage”, you can’t imagine anyone else to be fronting one of the biggest heavy metal bands in the world other than him, especially since the lyrics behind the music need an empowering voice to accentuate the message within them. A perfect example to support this is featured on “Dying Breed”, where the lyrical structure pays tribute to heavy metal music’s greatest bands (called the “the rocking warriors”) in an anthemic fashion. 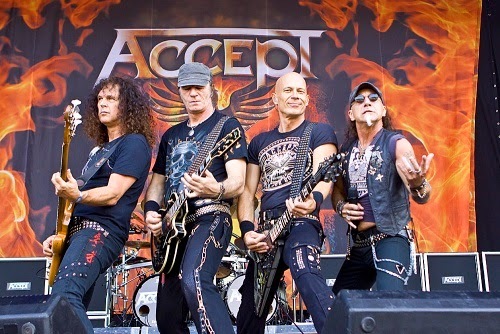 With song references like “screaming with a vengeance”, “denim and leather”, and “diamonds and rust”, it’s difficult not to admire Accept‘s loyalty to the bands that shaped them into who they are today as heavy metal heroes. Not to mention they are still driven by the exact same undying passion that led to the creation of Accept in the first place, almost 40 years ago. 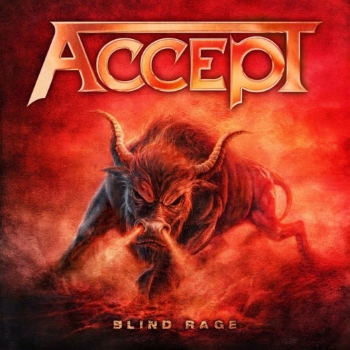 Compared to the previous two Tornillo-led albums, “Blind Rage” is a much more refined record, as it exceeds the creative boundaries of “Blood of the Nations” and improves on the already-polished production quality on “Stalingrad”, making it one of Accept‘s finest in over twenty years. Every track is filled with enough hooks and melodies to keep that head banging and that fist soaring for days on end. My personal favorite, “From the Ashes We Rise”, one of the album’s more melancholic and uplifting tracks, is continuously intensifying in a crescendo-like manner as Hoffmann and Frank’s guitars get louder and Tornillo’s vocals become all the more aggressive. That chorus is probably the most memorable moment on “Blind Rage” and it sure is a way to leave a lasting impression on a regular metalhead like myself. With 40 years of staying restless and wild, 40 years of pounding our balls to the wall, 40 years of spilling blood for the nation, and 40 years of relentless blind rage, Accept have continuously reminded us why heavy metal is the greatest music in the world. By browsing this site you accept cookies used to give you a better experience and to analyze traffic. LEARN MORE.